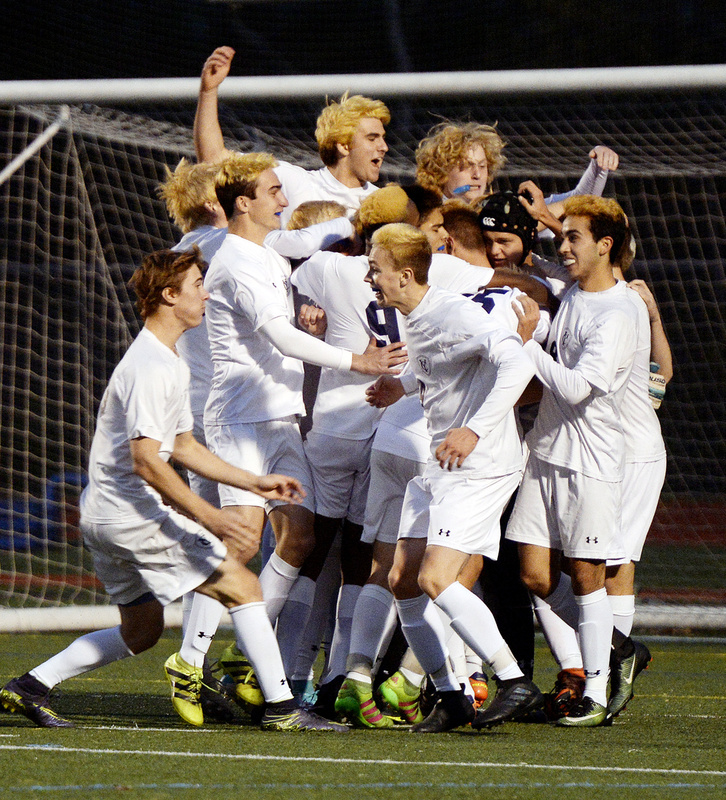 Yarmouth celebrates moments after defeating York Wednesday in the boys' soccer Class B South regional championship game in Yarmouth. 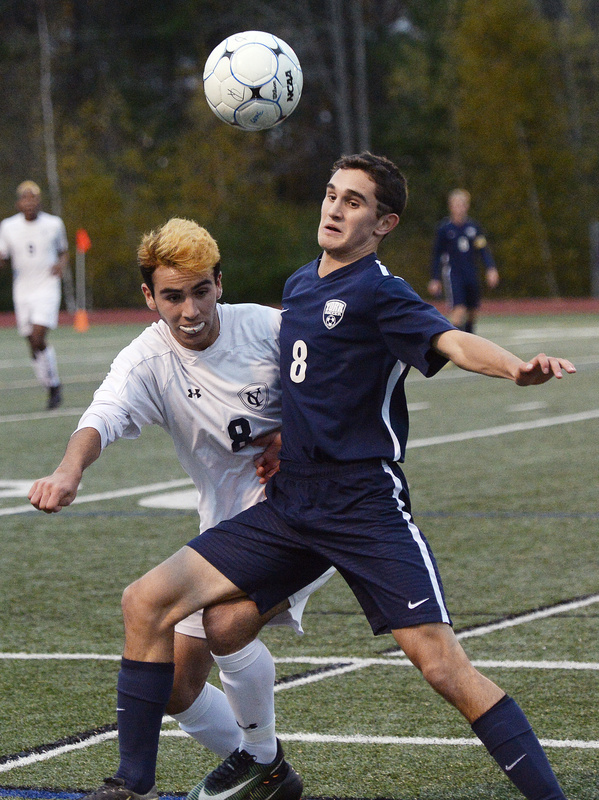 Yarmouth's Max Coury battles for the ball with Nick Rainforth of Yarmouth. 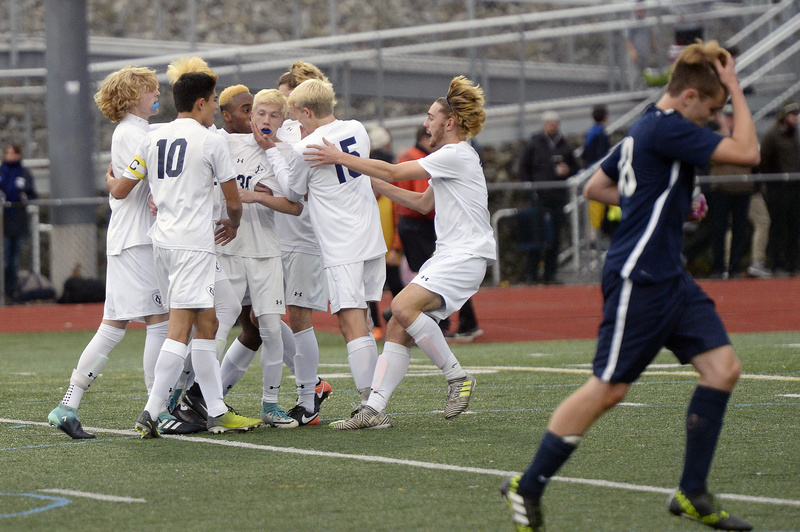 Yarmouth celebrates after scoring the game's first goal against York. 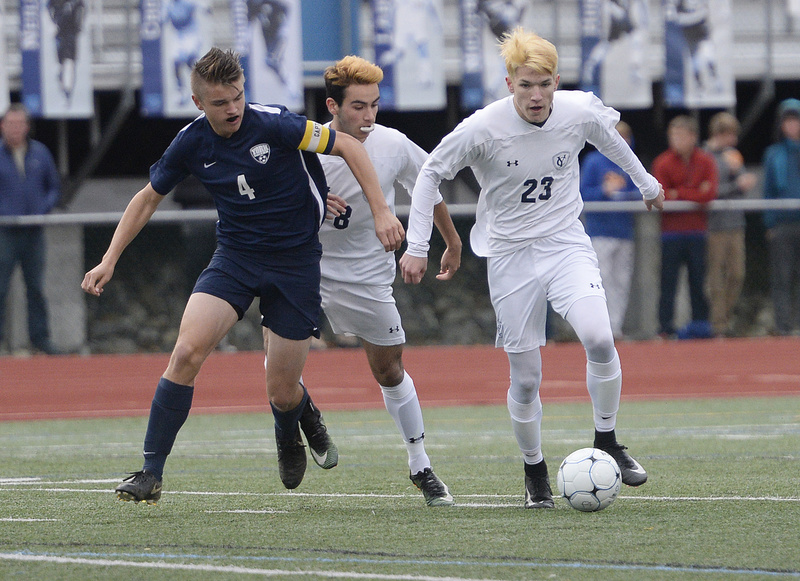 Yarmouth's Jack Jones dribbles the ball as York's Brendan Webster moves in on defense. 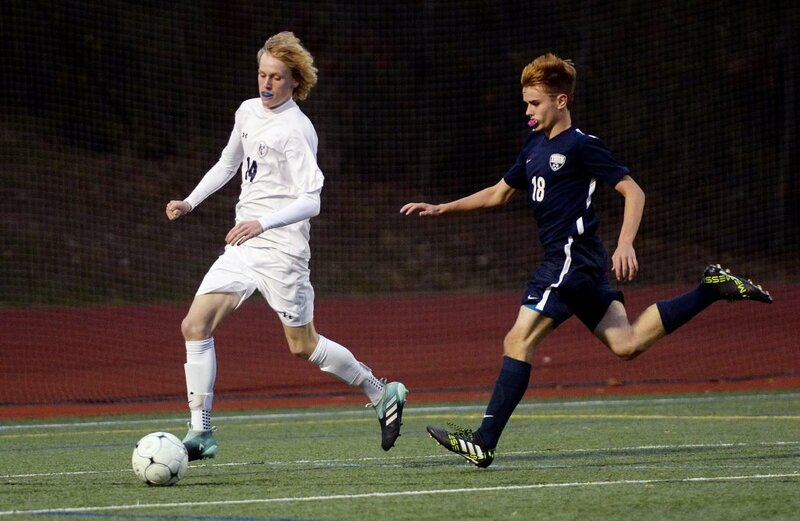 York's James Peter tries to keep the ball from Eric LaBrie of Yarmouth. 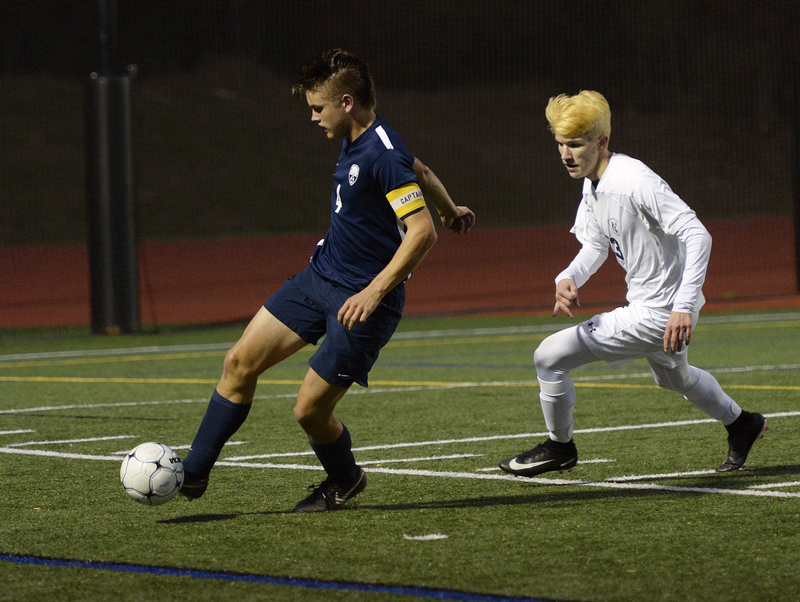 Yarmouth's Luke Groothoff takes the ball down field as York's Nick Rainforth defends. 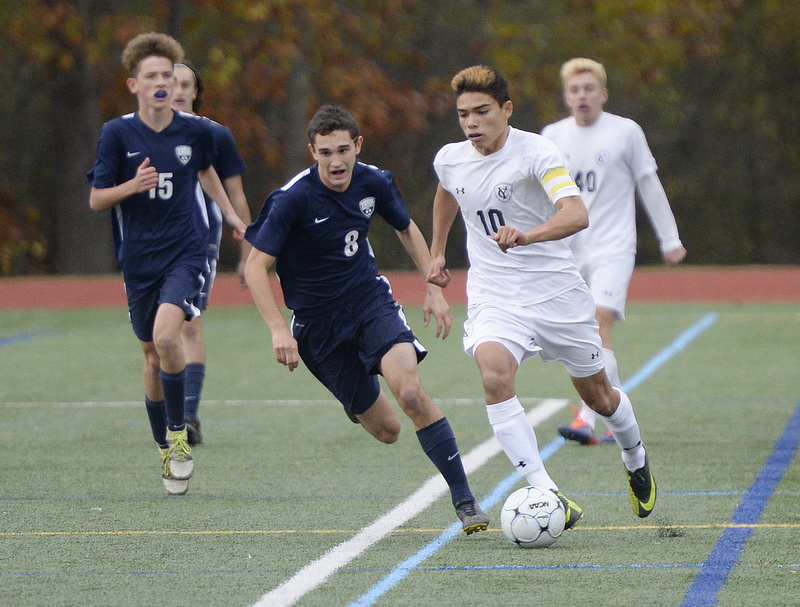 Yarmouth's Eric LaBrie drives with the ball as York's James Peter defends. Backing up LaBrie in the center is Yarmouth's Max Coury.